Tune up and tune in to the wonderful world of music and sound! Make a hip-hoppin' java jive bass out of an old coffee can. Put on your homemade tuxedo and conduct your own orchestra. Those are just some of the fun projects and activities you'll enjoy as you discover the mysteries and melodies behind the science of music and sound. Step-by-step instructions and illustrations guide you through dozens of projects and experiments. 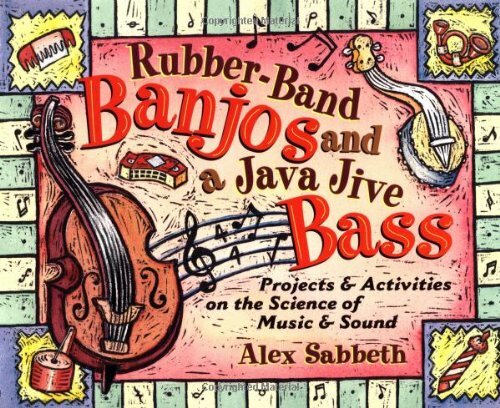 From a French horn made from a shower hose to a xylophone made from an egg carton and some household wrenches, Rubber-Band Banjos and a Java Jive Bass makes you part of the coolest band in town!